Home Face Cleansers & Toners Toning Lotion With Camomile "Dry/Normal Skin"
The Toning Lotion with Camomile for Dry/Normal Skin is a gentle alcohol-free toning lotion which stimulates and refreshes the skin, while respecting its pH and moisture levels. Enriched with gentle Camomile, Alpine Herbs, and Linden extracts the toner softens, smoothes and soothes irritations. Vitamins A, B and E improve skin quality. Gently removing all traces of cleanser, this facial toner provides ultimate comfort for dry skin, and leaves dry or normal skin cleansed and perfectly radiant. 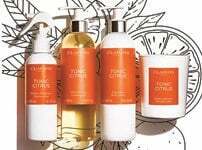 Day after day the gentle facial toner prepares and readies the skin for the Clarins treatments that follow. InStyle Best Beauty Buys 2014. For use on dry or normal skin. Rated 5 out of 5 by Bootsie from Refreshing feel! I've tried many toners across the years, but always come back to this one. It leaves your face feeling so cleansed and fresh. Love it! Rated 5 out of 5 by Haircut100 from Lovely Toner I love this toner lotion the smell and feel is divine. Rated 5 out of 5 by heavybaker from Most amazing toner ever! Been using this toner for years. Along with the one step facial cleanser, brilliant duo, wouldn't be without it! 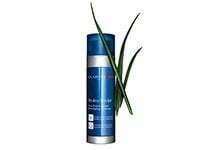 Rated 5 out of 5 by Lucia from Love this product I love this product!!!!! It is the most amazing gentle, calming product I have ever used. It smells amazing and last a long time as you don't need a lot of product. 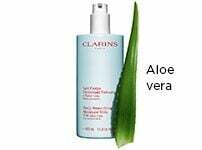 I would be lost with out this toner, my all time favourite clarins product. Rated 5 out of 5 by Npel from Gentle and calming I use this after the peach cleansing water, this is fantastic, no burning sensation to my face after using which I get with most toners! 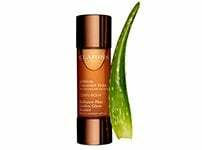 Just soft calm skin, I have noticed the redness on my face is slowly decreasing since using this. I have also nearly always had some sort of spots on my face but haven't actually had any new ones since switching to clarins! Rated 3 out of 5 by Rainbow73 from Too much fragrance I find that the amount of fragrance in this toner is too high and causes irritation to my skin. My skin, which is not particularly sensitive, becomes red after using this toner. I wish it had less fragrance. Rated 5 out of 5 by Supasmash from Lovely toner I use this product in both morning and evening. Smells lovely and it doesn't dry out the skin. If at all, it makes my skin feel firmer yet soft - to be ready for other products I use after the toner.